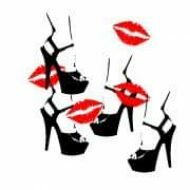 Posted byRed Lips High Heels	 February 4, 2015 Leave a comment on The Paris Terror Attacks…Now What? In light of the recent terror attacks that took place in Paris, many have taken to social media to publish their opinions. Hashtags including #JeSuisCharlie and #JeSuisAhmed went viral on twitter. The world seemed to be buzzing; the terror attacks in France had affected so many people. What happened as a result of the unprecedented attacks in France was a worldwide dialogue. People- regardless of ethnicity and religion- were voicing their positions on the matter and exchanging their views with others. 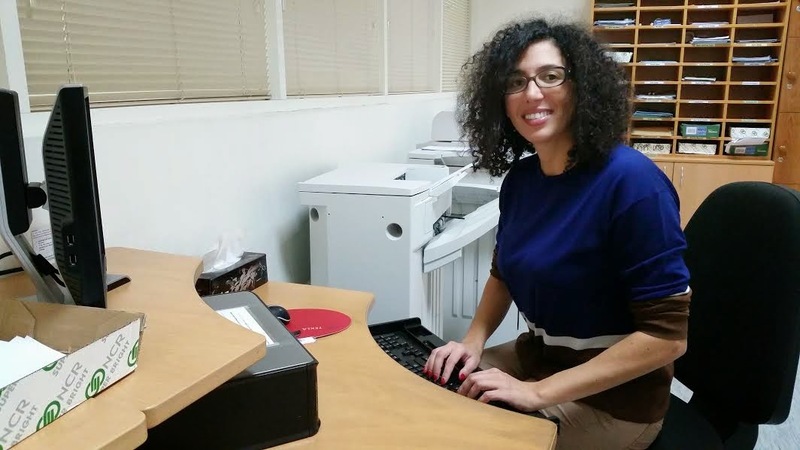 Dr. Pamela Chrabieh, who has published seven books on the topic of religion and its relation to politics and culture, believes “most religions’ central message is about love, respect, tolerance, coexistence, conviviality, and peace.” “Personally, I’m not Charlie. I will never use their logic and the type of expression they used; it’s offensive and disrespectful. But at the same time, I condemn every act of violence,” says Dr. Chrabieh. “If you really wanted to respond to what Charlie Hebdo is doing, you could criticize it, using verbal expression, writing, or maybe even cartoons,” continued Dr. Chrabieh. “Beyond religion, as a human being, you have the choice. You can respond to certain events using violence or you can use peaceful means. So let’s not always put it on the back of religion,” she says. Dr. Sarah Verdoia, who is a French citizen and specializes in Swedish Language Variation, stands behind her country’s constitution. “I’m against the terror attacks. But am I for the freedom of expression? Yes, I am. This is in our constitution, and this is one of the important values of the French republic,” Dr. Verdoia emphasizes. “It is in the French constitution that the state is separate from religion, and that religious authorities do not interfere in government affairs; this is a law that we had since 1905,” explains Dr. Verdoia. “Freedom of expression in France doesn’t mean we can say anything. There are some limitations by law, but religion, or expressing something about religion, is not within the limitations. Now, is the majority in France willing to change the law? I’m not sure,” she states. The aftermath of the acts of terrorism have many wondering what it will mean for Muslims in France. 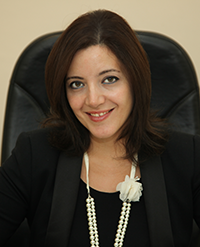 “Negative consequences, at all levels,” says Dr. Pamela Chrabieh. “Already they are talking about- in France and other European countries and North America- new immigration laws. We’re going to witness more restrictive and discriminatory laws targeting Muslims. Although this wasn’t mediatized, there were many attacks on mosques and Muslims. But there are counter reactions based on studies. For example, it was found that less than 2% of terror attacks in Europe were done by Muslims” she states. When asked if she envisioned a positive outcome for Muslims following the aftermath of the unfortunate events, Dr. Chrabieh’s reply was straightforward. “I don’t see a positive outcome. What could be the positive outcome? A sense of unity between Muslims? The more Muslims will withdraw themselves from the countries they live in, the more they will be perceived as outcasts,” she explains. Students and alumni of AUD also have opinions of the terror attacks and what the aftermath of the attacks could mean for Muslims. The infamous cartoons offended Laima Daudzai, a 21-year-old international studies student. “Making such comics was like inviting trouble,” says Daudzai.“Some people claim that the cartoonists were trying to show how extremists use Prophet Mohammad (pbuh) to justify what they do and by being offensive they are trying to bring change with the use of ‘shock therapy.’ The only successful way change can happen is gradually,” she says. Bassel Hussein, a 19-year-old electrical engineering student, is appalled by the attacks. “When terrorists, like the Kouachi brothers, use violence, they are tarnishing the image of Islam and all Muslims. Those who don’t know any better think that this is what my religion calls for its followers to do,” says Hussein. “I don’t want anyone to think that all 1.6 billion of us are terrorists, but unfortunately, I think we can expect more hate crimes against Muslims,” he says. Sylvia Sarkies, a 21-year-old journalism student who graduated in 2014, stresses that she is neither with Charlie nor is she with the attackers. “I believe that freedom of speech needs limits, however, I do condemn the attacks,” mentions Sarkies. “It’s not going to be easy for Muslims living in France. Because of the actions of some radicals, the innocent will suffer,” she says. Regardless of the differing opinions that have circulated on social media following the events in Paris, everyone can agree that judging a whole religion based on the actions of terrorists is unjust. Preying on Muslims by use of hate crimes is just as appalling as the Charlie Hebdo massacre itself. It is important to understand that terrorists do not represent the values of Islam or Muslims and that generalizing when it comes to this matter could prove dangerous. If the rights of innocent French Muslim citizens are violated as a result of the Paris attacks, then the true issue will be left unresolved. Thank you Mirna for this fine article. Impressive for a student in journalism 🙂 Keep up your good work. What i like about this blog is the diversity of approaches and perspectives, and the possibility for students and young people to be published, to voice their thoughts, beliefs and ideas. I agree with the French doc. French people should be following their laws. Separation between Church and State should not change. Religion is a matter of the private not the public. For those who don’t like it, i will just say: you don’t belong here! Find a place where you can live your life the way you want it. Freedom of speech must not become a hate-speech and it must not offend others. The Charlie cartoons fueled feelings of hatred and resentment among people – just like the Danish cartoons. So the best thing to do is either to ignore, or to answer using non-violent tools and approaches. Good evening! I agree with the author of this article and i honestly fear for the future of several european countries where minorities will be stripped little by little of their rights and conservative parties will be in power. I am for the freedom of thought and expression 100% and i also am for mutual respect, responsibility, dialogue and peace. As for answering cartoons, i would definitely either ignore, or create my own media of communication with a peaceful content and discourse. I condemn Charlie Hebdo massacre and all massacres, including the one targeting the Jordanian pilot by Daech and cie; and i criticize the ‘inconsistency’ of political reactions worldwide. Governments must be more consistent in their treatment of human life. You can’t condemn an act of violence and disregard another. We must start by condemning what happens and what is done in the name of Islam… what extremists do in fact was to betray Islam principles, values and the overall message of Islam.